Strite Industries Limited is a leading manufacturer of precision machined metal products. Strite Industries consists of two wholly owned subsidiaries; Strite Precision Machining, and Hespeler Orthodontics; both located within the same 100,000 square foot manufacturing facility in Cambridge, Ontario, Canada. 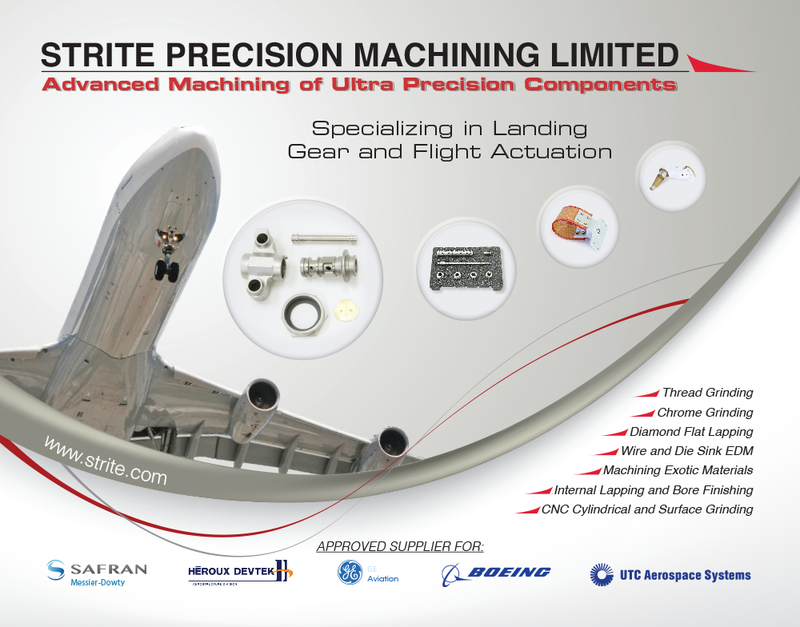 Strite Precision Machining specializes in the manufacture of complex aerospace components that demand extreme precision. These are supplied to both the commercial and military aviation industries. Strite is currently working on precision components for the "Joint Strike Fighter", the Boeing "Dreamliner" and Airbus "A380" Superjumbo. The advanced manufacturing techniques developed by Strite Precision Machining for use in the Aerospace Industry are shared with the Orthodontic subsidiary; making Hespeler Orthodontics superbly qualified to take on the exacting, precise work required to develop and produce the SPEED appliance.